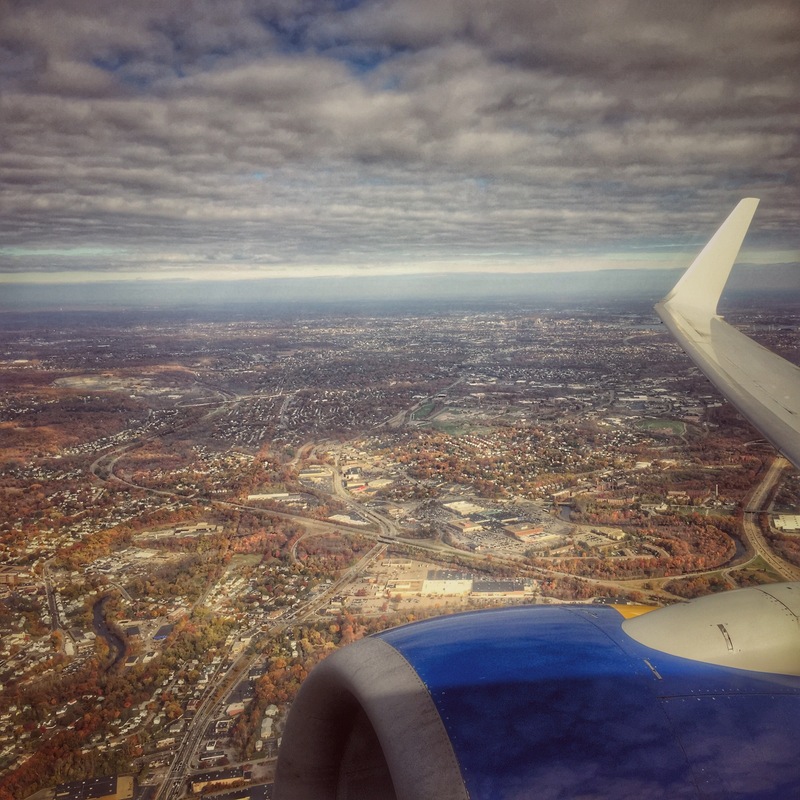 I’m not in the air all that often, but wherever I am, I am never not filled with a sense of fear and wonder. 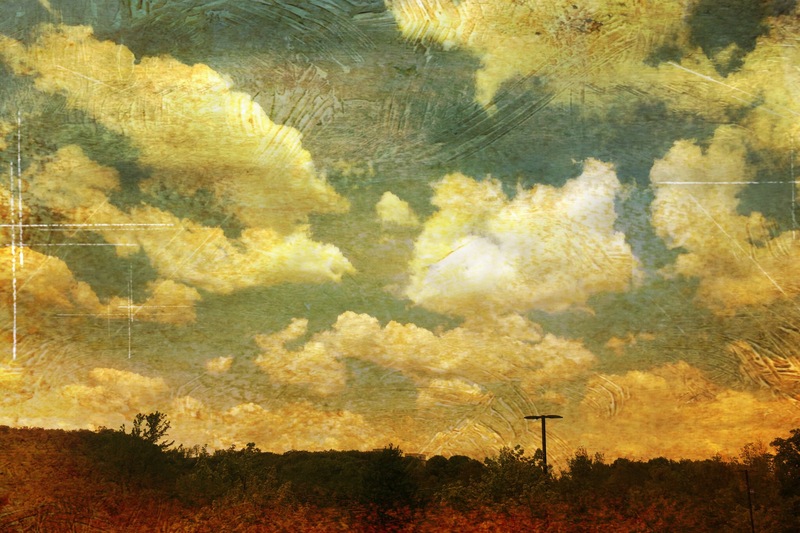 I have a thing for clouds. Always have. Sometimes you get into those inane conversations with people about which superpower you would choose if you could have any. For me it’s always a toss-up between flying and invisibility. Flying almost always edges out invisibility. I would love to be able to stretch out my arms and simply take flight. In the meantime, since I can’t, I’ll just put on some Pink Floyd and post this artsy’d up picture of clouds, as seen from the building where I work. This is going to be one of those sappy-daddy-loves-his-daughters kind of posts. If that’s not your cuppa, exit now. Still there? Well then, meet Joshua. This is the name of the stuffed tiger you see in the picture above. My older daughter named him. Now, technically, he’s mine. He was a gift from said daughter back on a birthday or Father’s Day a bunch of years ago. But, given how much Joshua seemed to prefer my daughter’s company to mine, I let him hang out in my daughter’s room. 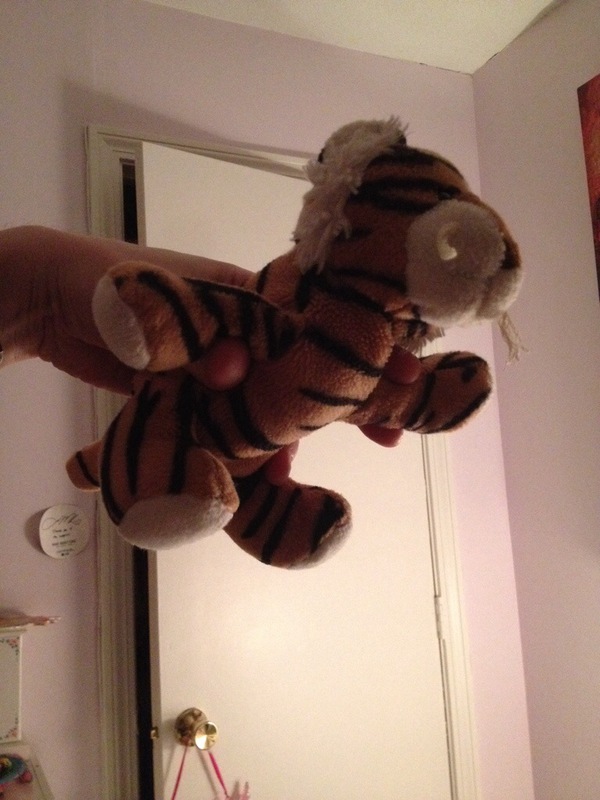 You might be wondering why I’m posting about a stuffed tiger? 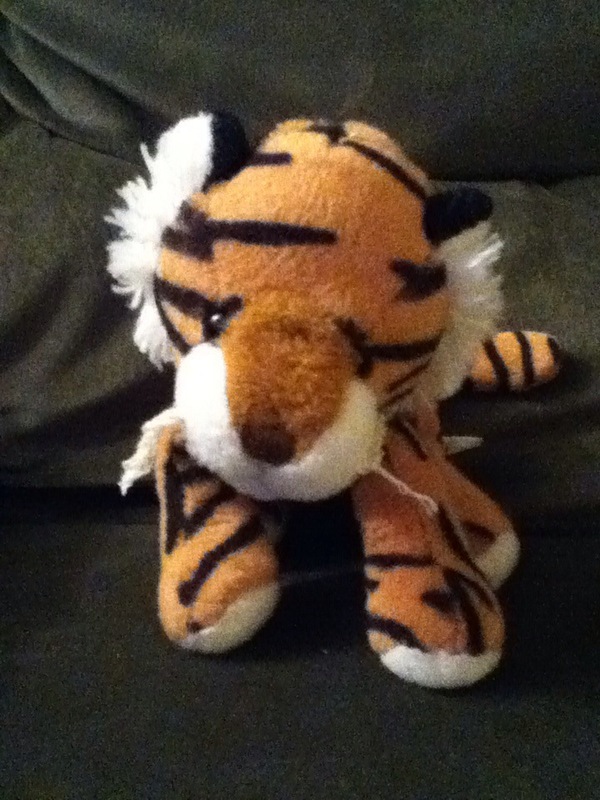 Hey, if Miline can write about a stuffed bear named Edward, why can’t I write about a stuffed tiger named Joshua? The main reason I’m thinking about Joshua these days is because, out of nowhere, he has returned. When my daughter was younger, in the five to six range, I would tuck her into bed, and then Joshua would join the party. He was a happy addition with a special quality: he could fly. When Joshua’s arms are outstretched, he looks like he might take off into the air. And one day, as it happens, he did. I used to fly Joshua around my daughter’s bedroom before bed and she would spend time trying to catch him in her hands. Fast forward a number of years. Unannounced one day a week or two ago, Joshua suddenly returned to the stuffed menagerie that occupies my daughter’s bed every night. I picked him up one night and, for nostalgia’s sake, flew him around the room. And my daughter, remembering how the tiger used to bring the fun, decided to try and catch him. We’ve been doing this now for about a week. And it’s like a connection to a past you forgot you used to love. My daughter turns back into a five year old when Joshua flies around her room, in the same way I turn into an eight year old when I get hold of a box of Legos. I know it won’t last. There’ll finally be that night where one, the other, or both of us decide we don’t need to fly the tiger. But until then, I’m holding onto these moments with both hands.